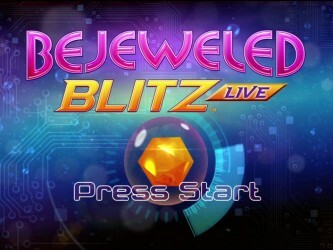 Bejeweled Blitz LIVE, the second week of Xbox LIVE Arcade’s “House Party” promotion, joins it’s predecessor, Bejeweled 2 Deluxe, and hits the Xbox LIVE Arcade platform this past Wednesday (February 23rd, 2011). 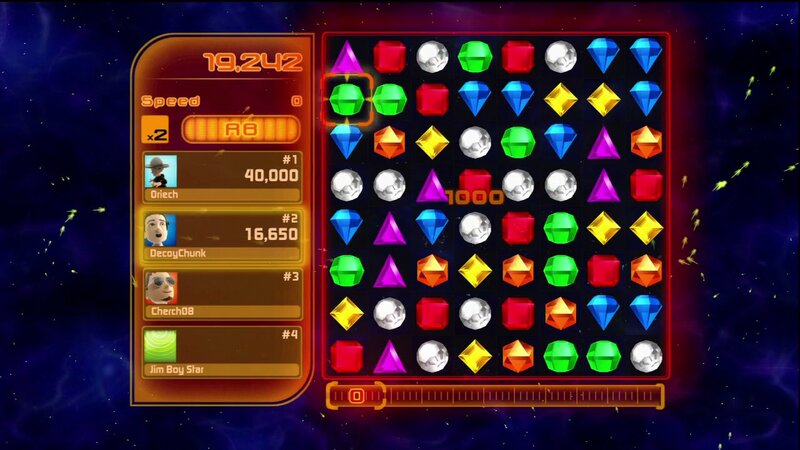 If you’re not familiar with the Bejeweled series of games, developed by PopCap, kudos to you. Not that I have a (big) gripe with these games, but they’re definitely one of those “just one more try” types. You pick up the controller thinking “I’ll just play for a few minutes”. After all, they’re casual games. A few thousand “just one more try”s later and it’s 3AM. 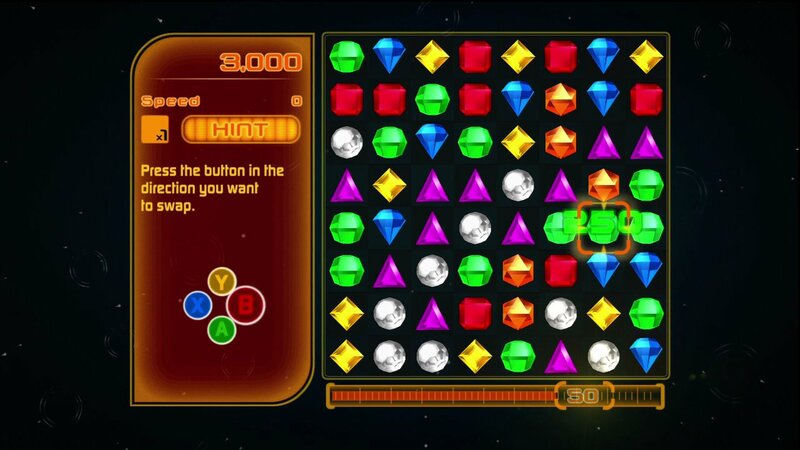 The Bejeweled games are based on the “Shariki” game mechanic (that’s right, I did my wikipedia research), you know, the gameplay style most puzzle casual games are based on. 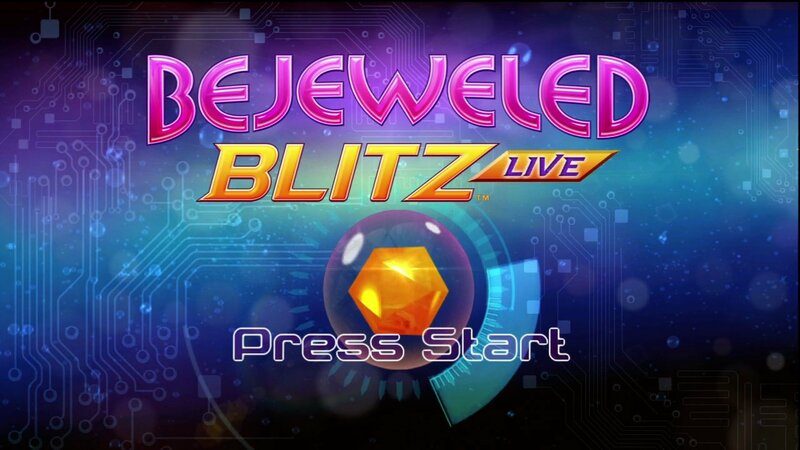 If you’re looking for amazing graphics, Bejeweled Blitz LIVE is not the place to find them. The game does look good, but c’mon, it’s a casual game. Visually stunning, it is not. Time wasting, it is. 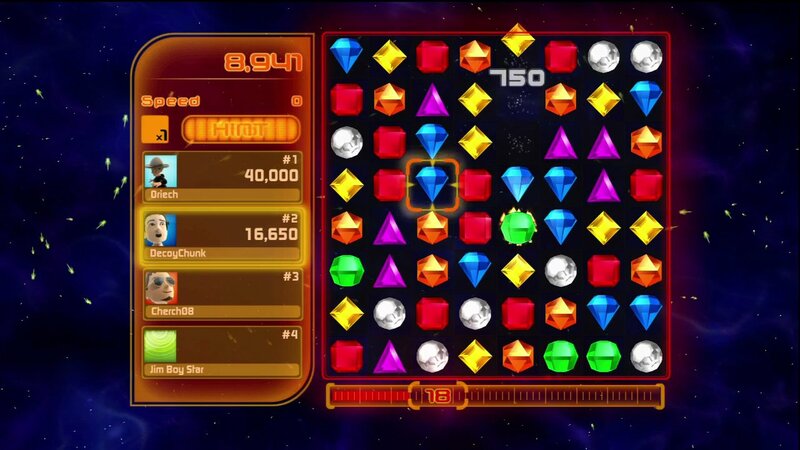 The focus of the screen is the 8×8 game board filled with multi-colored, shimmering jewels. 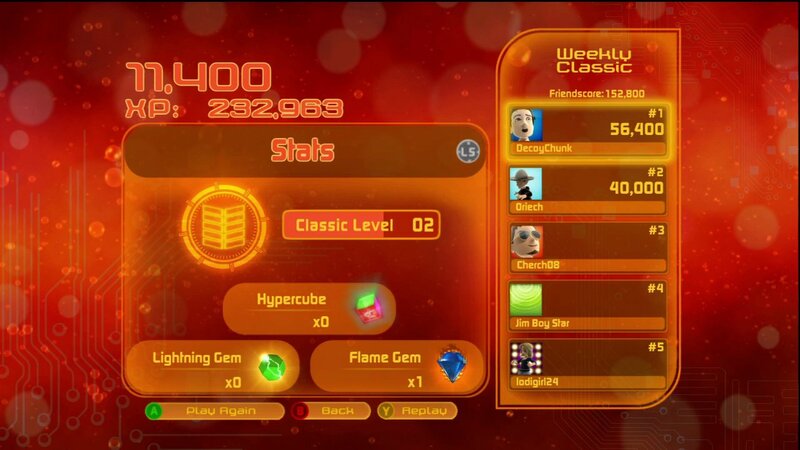 To its left sits the usual score panel containing a convenient friend’s list complete with gamerpics and top scores. 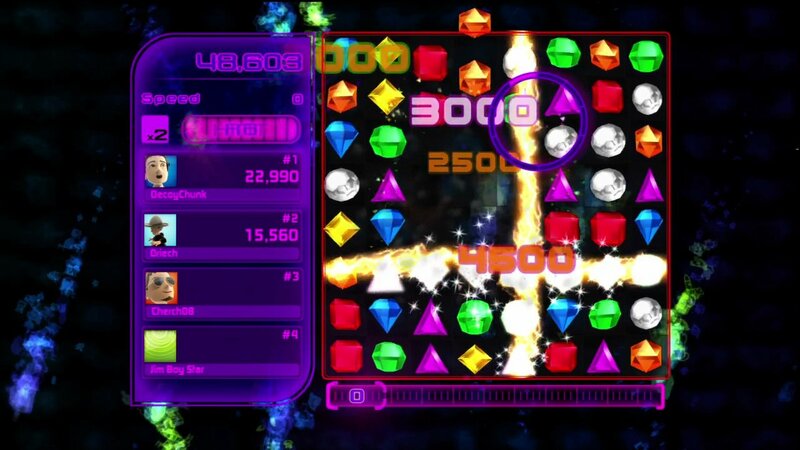 Below the game board sits the game timer, but I’ll touch on that in the gameplay section. 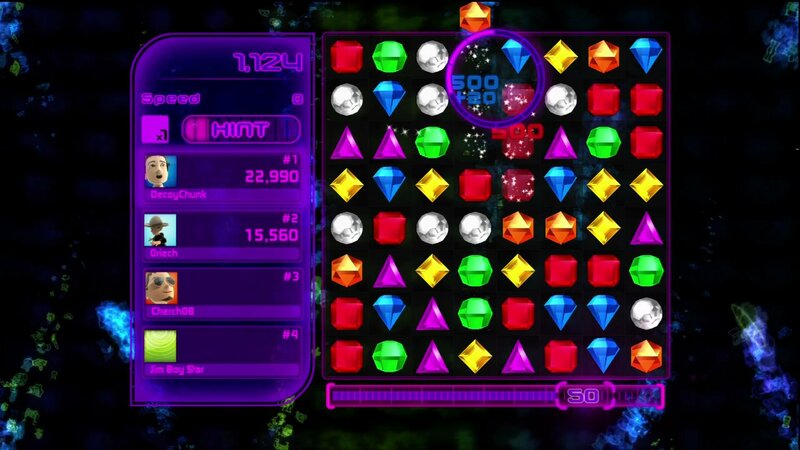 Aside from that, there’s not much to note, psychadelic neon colors and generic backgrounds included. 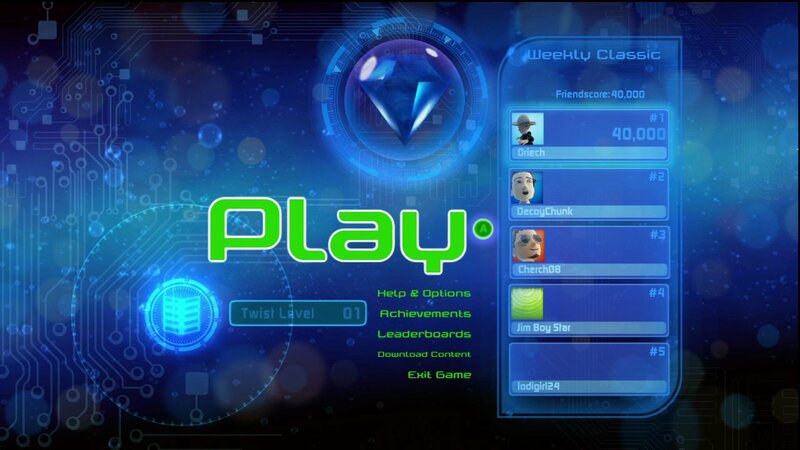 My biggest gripe about the game unfortunately comes in where it really counts: gameplay. While a new mode is introduced, “Twist”, it really is just more of the same. 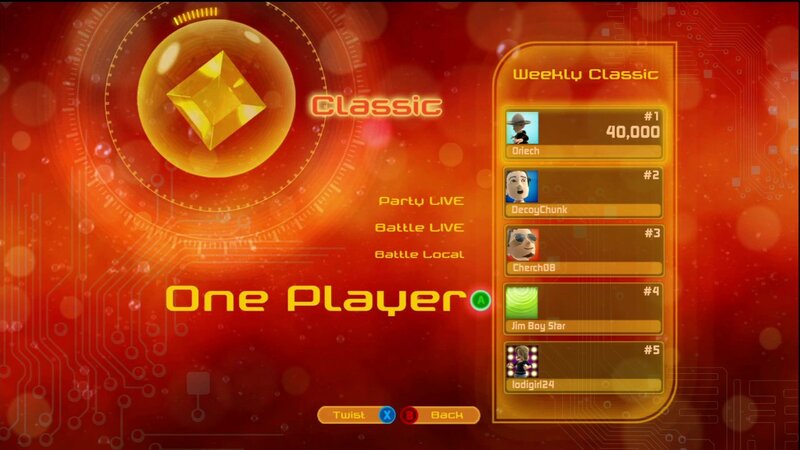 The player gets a timer, starting at 60 seconds. 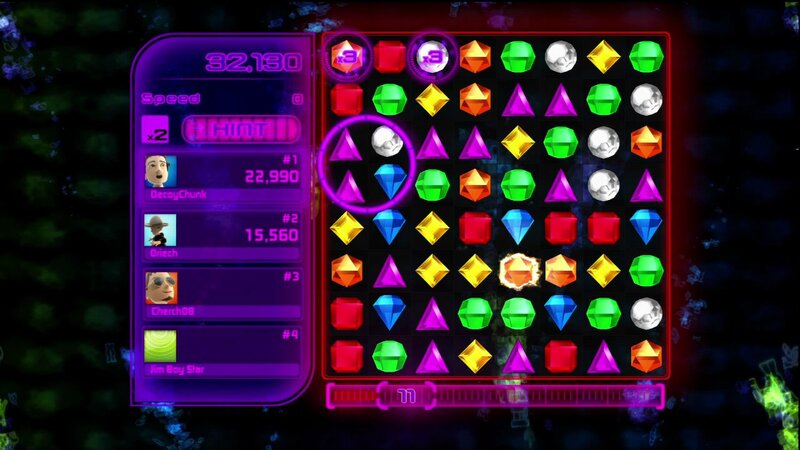 As the timer depletes, the player has to swap gems in order to match three or more thus removing them from the board. 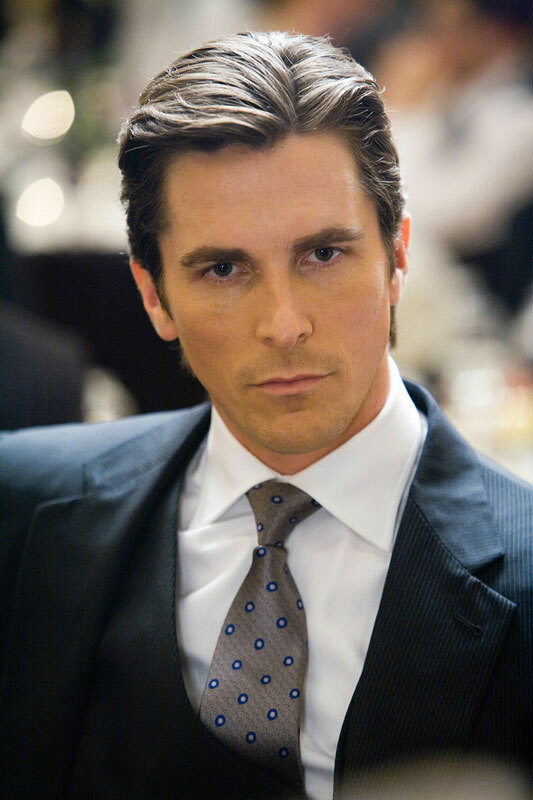 There are a few gems with special abilities, but not enough to keep it entertaining. When the timer runs out, that’s it. Try again. 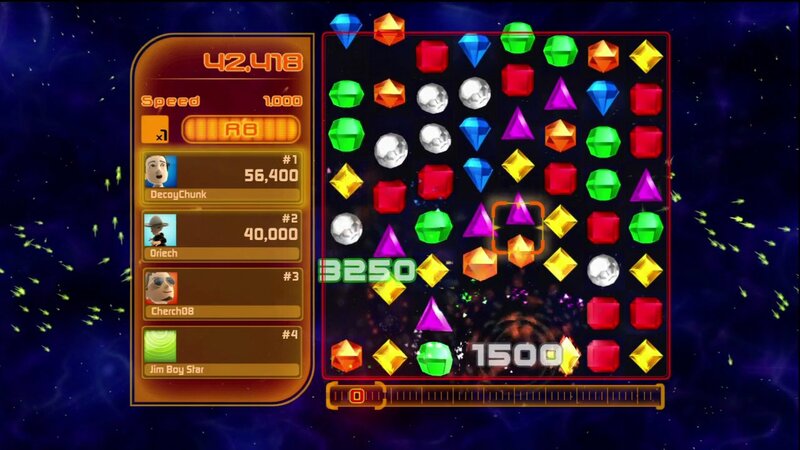 Aside from attempting to top their or other friends’ best score, there is nothing to keep the player… playing. There’s no winning nor losing. No racing to the next board. Just try again. 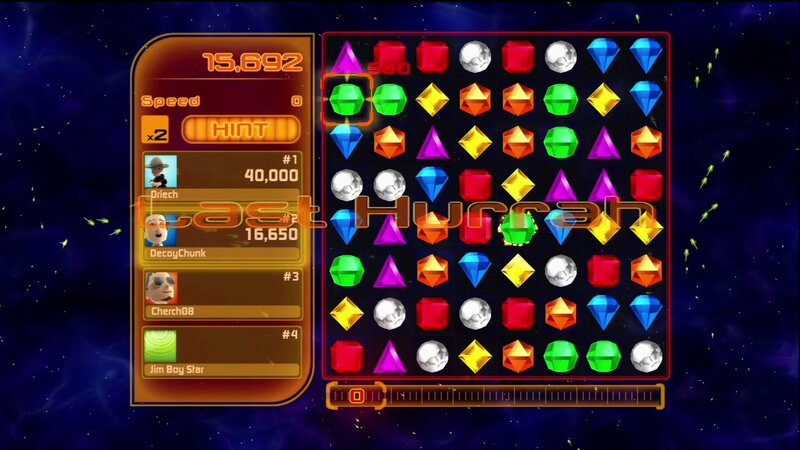 The difference in the “Twist” game mode changes the name of the game to Hexic… at least, it should. 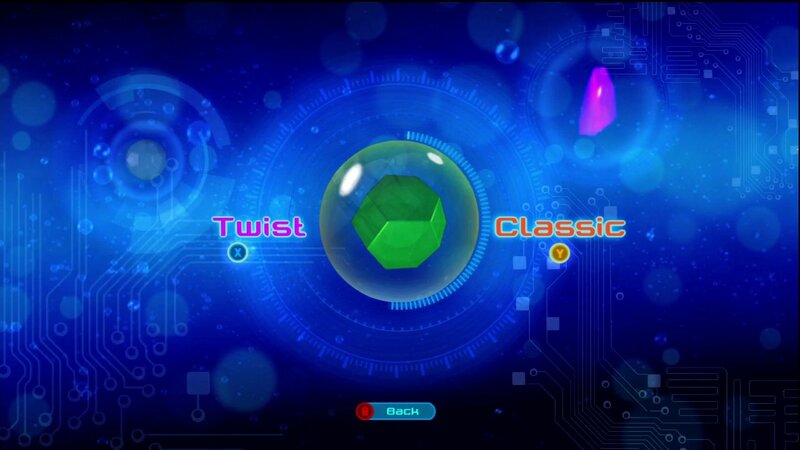 The only difference between it and “Classic” is instead of swapping two gems up and down or left and right, you’re rotating four gems, still attempting to match three or more. 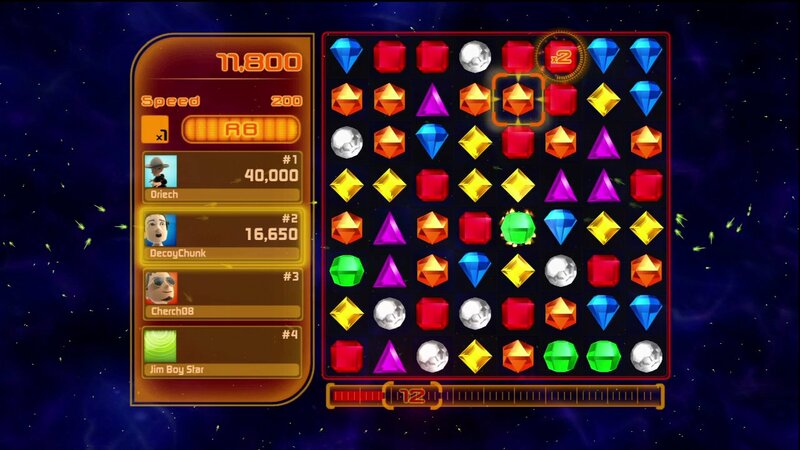 3.3 / 10: Not enough of an addition to the Bejeweled series to keep me interested.